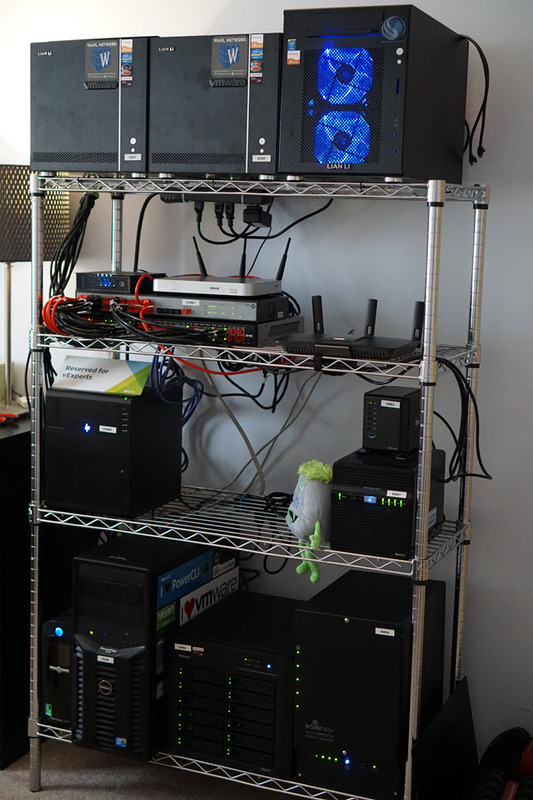 I realized early on that people like building home labs for various reasons – education, certifications, fun, testing, or some crazier stuff. As such, I offer a complete list of all hardware kept in the lab for your viewing pleasure. Most items will have links that will take you to the build list or related post. 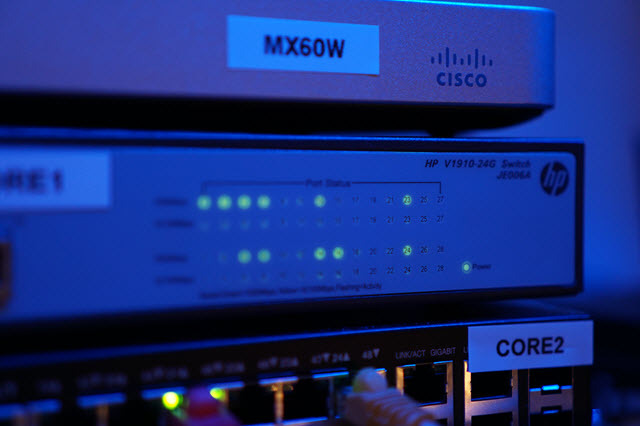 These hosts are used for lab testing and validation. Based on my Sandy Bridge and Haswell builds. I mainly use this server for testing beta builds and other development purposes due to the AMD CPU (can’t mix with my other Intel boxes). 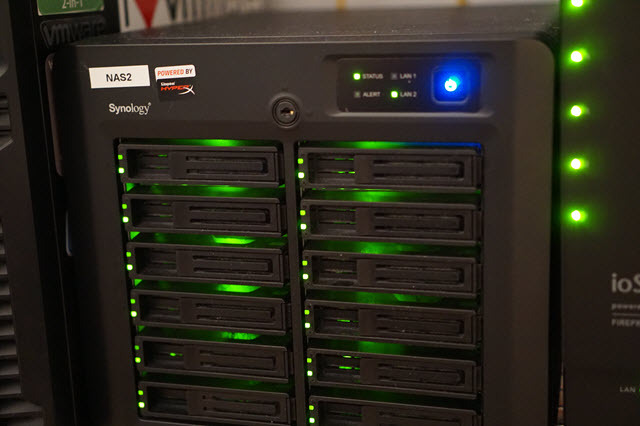 All of my storage arrays in the lab are NFS attached Synology arrays over various 1 GbE links. 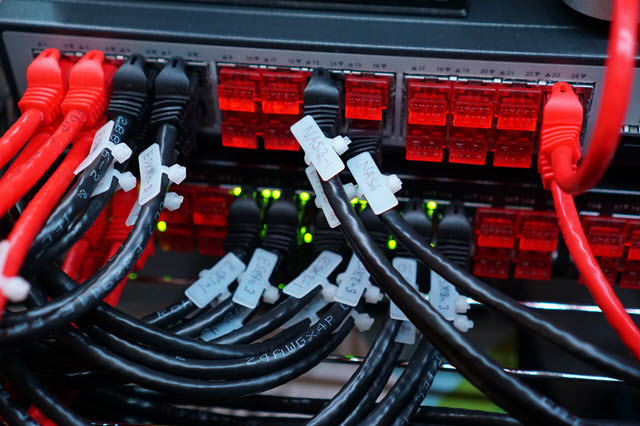 Any array with 2 or more NICs are connected to the physical network via a dynamic link aggregation group (LAG) running LACP. Backup Server VM: Veeam Backup v8 pointed to NAS4 via CIFS. 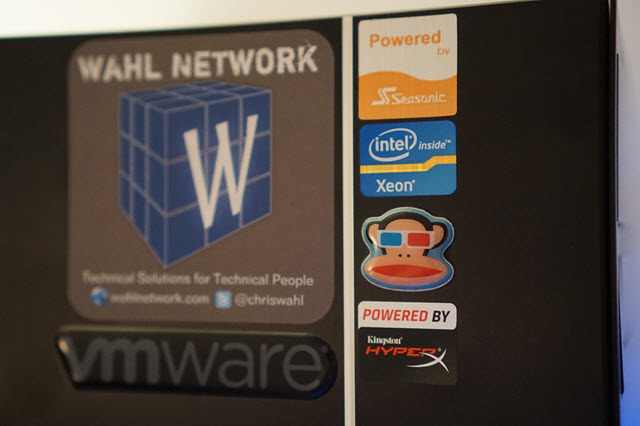 I’ve written about various VMware licenses available for home labs in this blog post. The first tier is dedicated to lab hosts. I’ve stuck with Lian-Li cases of varying type. The second tier houses networking and security devices. 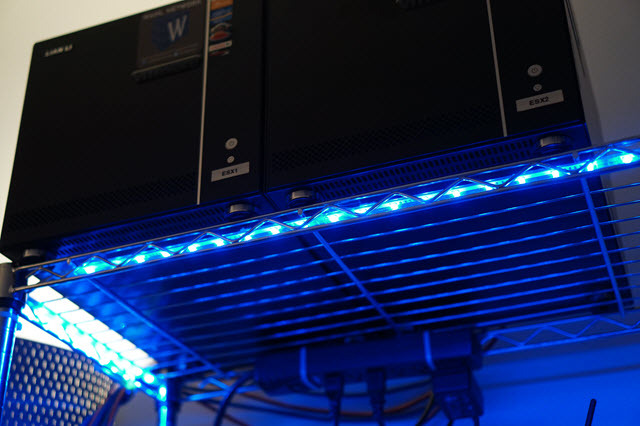 The third tier is for smaller server devices and management storage. The fourth and final tier holds the larger bulk items and lab storage. Very informative website. I’m David a Network Engineer and prior Sys Admin reviewing different posts to build my own VSphere lab. 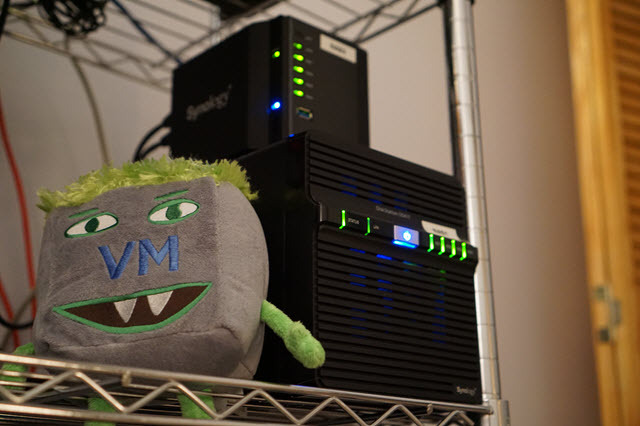 You may have full licenses for everything, but what do you suggest for someone building their first VSphere5 whitebox ? I know you can download trial versions and reload all the time, do you have notes on how to make the most of licenses? 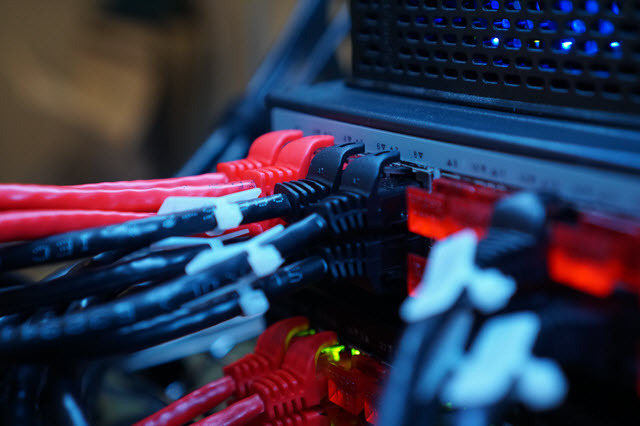 The home lab licensing is a hot subject, the movement to “fix” this issue is being brought up as a revival of the VMTN subscription (similar theory to the Microsoft TechNet subscription). With that said, I tend to sync up the 60 day trials together to avoid partial rebuilds, or (depending on your status with VMware) request NFR licensing. Chris, your lab is one inspiration to us. I would like to know what is where to buy those red protective cap on unused switch ports. I went with your Lab build. I built the host on Sunday fairly easy build. The Sea Sonic Power supply I had to use the dremmel to get it to fit properly. 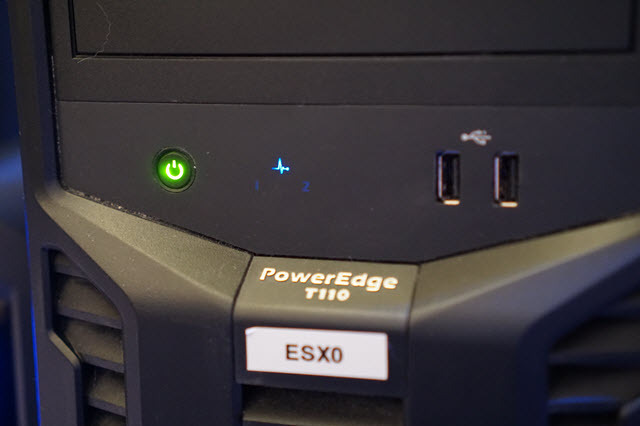 I loaded ESXi onto the thumb drive I haven’t powered up the host yet. I did change the slower green drives and went with 7200 RPM 750GB Seagate Momentus Hybrid SSD drives as well as the Intel SSD’s you have. 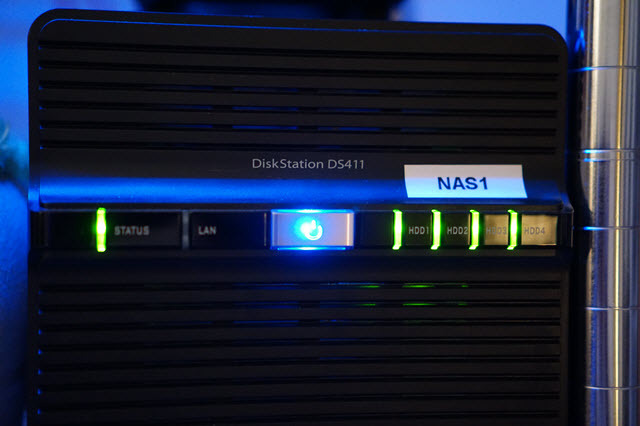 I went with the DS411 NAS as well seems like a good NAS for the price . Hopefully this will get me up and going with my first home ESXi lab. Thanks for posting this on the site and keeping it current. This helps us with an idea of what we need thanks. Cool, I’ll be interested to hear about the performance of the hybrid drives. Your site and guidance have been very valuable to me. I’d like to explore placing my NAS on its own physical network to separate all of its traffic my my home network. Is that how you have your home network? Assuming that one nic on my ESXi host and the NAS device are the only machines on the storage net, will I still need a router to bridge networks or is it as simple as putting the two ports on a single physical unmanaged switch? If I do that then what do I use as the gateway entry when I configure the NAS? Thanks Richard. In my lab, each traffic type has its own subnet and VLAN (Management, iSCSI, NFS, vMotion, etc.) on my HP V1910 switch, and each host has two uplinks specifically for storage. The switch also handles my inter-VLAN routing. You can see the layout in detail in my “Four NICs – Two vSwitch Configuration” section of this post. Have you written anything about VM backup? I’ve got my ESXi host and storage network settled into place nicely and am having great fun experimenting with a variety of different VMs. How do I go about backing up my VMs? I assumed it made sense to use Veeam Backup Free Edition — but I’m stumbling out of the gate trying to get it set up. I had assumed I could deploy on a Windows 7 home premium box but so far, no luck. Any pointers on this aspect of the process? I’ll respond to my own post. It turns out that in order to configure Veeam properly you need to set the monitor DPI setting to 100% and not something larger. I have a large monitor and usually work at 125% magnification. That this would cause the authentication process for setting up the VM host to not work is incomprehensible. Nonetheless, after making that tweak I was able to proceed. How odd. I haven’t written on backup at this time. I use Veeam B&R 6 in the home lab, courtesy of their old vExpert / VCP NFR licensing. What do u think of building my home lab on vmware workstation as i cant afford building anything even near to such great labs you have or those labs guys are talking about, i have a lenovo Thinkpad with 32 GB or RAM and 1 TB of storage. I am planning to get the VCP5-DCV and hopefully VCAP5-DCA after. Oh and 1 last thing please Cris, i tried already that setup for my lab over Vmware Workstation i didnt finish the whole setup for the lab yet but i noticed something strange things, vlan tagging doesnt work in the nested environment, i mean some portgroups i have on the vswitch are configured with vlans, but a weird thing happened traffic is not flowing through the physical network however everything is configured correctly on the physical switch side. i had to provision through the Vmware workstation some additional network adapters for the every traffic type in my virtual environment ” i.e Vmotion and vm traffic”. Is there any other solution to that problem to make things work as normal Vsphere environment ? Great site – when I visited Saturday it was different than it is today. I wish the content of this page had an “updated” date. I also wish the comments had dates. How you get this stand …. So, my 2 pennies about cheap home lab. 2 HP servers with ESXi specially for VMs (create labs, destroy them and etc.) + 1SSD each for caching, 1HP server with ESXi with production VMs: 1x DC, 1x vCenter to manage all environment keept on last SSD drive for better performance, 1x OpenFiler for storage all data on RAID1 WD Red 2TB hard drives. You can go with HP N40L for more memory. You can find it by 225$ even on eBay. If anybody think this lab is not enough for personal training and playing with the labs…. Please, come to my desk and point me where I’m wrong. I respect your opinion on building a home lab, as we all have a different idea of what is best based on our use case and budget. I definitely don’t think my way is the only way, or even the best way, but works well for me. Sorry for my voice. I’m not going to say anything bad about you lab. You lab looks very nice and I like it. I keep your picture with servers on my desktop and I’m excited about your “Certification Junkie”. This is what I’d like to have. A lot of guys are searching for a cheap home lab. And I’m not going to say that I built my lab for VCP and other certificates only. As I have a big list to play with different environments, to deep dive in some details about different scenarios and keep my skills updated. You can forget how to install a Windows 98 if you a not doing this every day…. as example. So… for playing with small environments, HP Microservers are really good solution. They are enough to satisfy even an environment with Exchange 2013 VM. People a hunting for nice home labs and they build the same lab like yours or other vExperts forgetting about their needs. 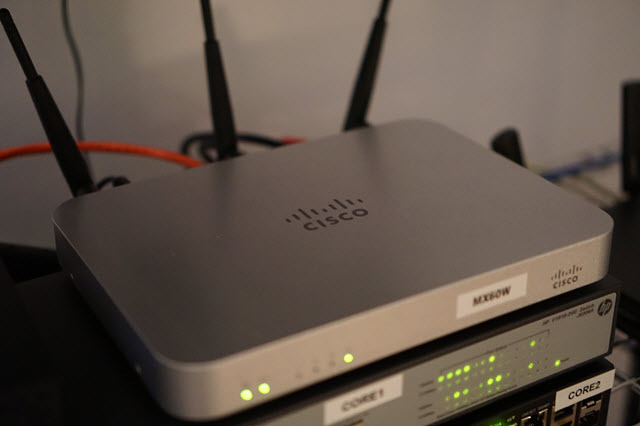 Have you thought about using a Mac mini in your network? I installed ESXi 5.1 on a 2010 Mac mini server, which I bumped to 16gb, and I’ve been pleased. It makes a nice addition to my Baby Dragon. I might replace it with a newer Mac mini that has thunderbolt so I can get dual NIC on it. I know that I’ve seen that build floating around, but it seems to solve the requirement of space more than anything (for those who have to put their lab in a common room or bedroom). My boxes are already (nearly) silent and consume little power, but are a bit large. I love your build. It’s the heart of my setup. The Mac mini is a great complement. For someone who doesn’t want to assemble their own box and who desires something more powerful than the HP Proliant or who wants to easily run Mac OS X vms or just wants a very small quiet box, it’s hard to beat. I have a 2010 mac mini with 16gb (even though the Apple specs say it won’t work with more than 8 gb) and it’s great. I’m going to pick up one of the newer Mac minis with Thunderbolt so I can have a dual gigabit NIC setup. For what it’s worth — which may not be much, the processors in the current Mac mini are more powerful than the one in your build — then again, I’m not often CPU-bound. For someone who doesn’t want to go to the trouble of building a machine or who wants to easily run OS X vms and who wants something more powerful than the HP Proliant, who is willing to be limited to dual nic, the Mac mini approach is very attractive. The current Mac mini offers surprisingly powerful CPUs and dual NIC via Thunderbolt in a simple, easy to get package. Moreover, you can run OS X vms too — which is nice. What do you think of this server to start off with? I was looking at building a box similar to yours… but this one is priced fairly reasonable, your thoughts? I also have the festive hat, very important when experiments work out and you have that “ooooh yeah!” feeling you can’t share with anybody except your dog or your blog. Keep the good posts coming! I love home lab configurations! Cool setup man! I just got all of my stuff in, made my build based on your esxi glaciers. I was wondering if you were using the hp microserver as vCenter(management ESXI)? Did I read that correctly? Yup. The N40L is running ESXi 5.1 along with three VMs: vCenter, SQL (database), and a Domain Controller. It’s in its own isolated cluster. This keeps me from having to worry about nuking the lab when I run tests on the rest of the cluster. So you dont use them to manage glacier1 and 2 using vCenter? I am looking to setup a lab enviroment for MCSA 2012 certification.Still wondering how I want to setup my homelab. 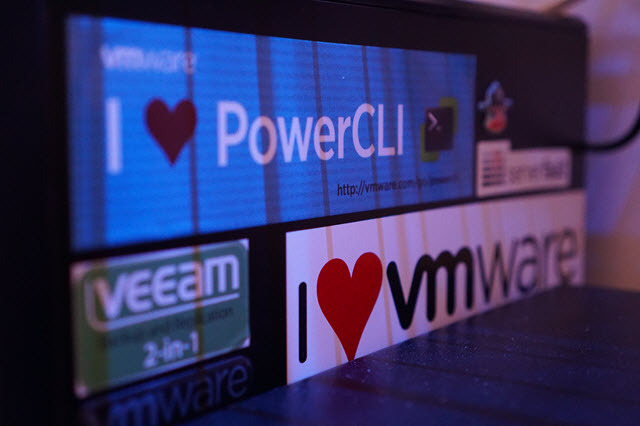 My vCenter VM manages the entire lab – both the management cluster and the lab cluster. I’ve added a graphic to the post above detailing what that looks like. Your mileage will vary on the number of VMs you can cram onto a server. If they aren’t using much of their RAM, you can over commit and get 8-12 on a single host. I have about 7 running on each of mine. I’m researching different switches to use and I have come across cisco’s SG300, HP1810 and HP V1910. Have you had the chance to work with any besides the 1910? I have not. However I hear good things about the SG300 from friends who have one. From what I understand, it has a Cisco IOS-Light installed (similar to the normal CLI) and has feature parity with the V1910. However, the SG300 is considerably more expensive than a V1910. 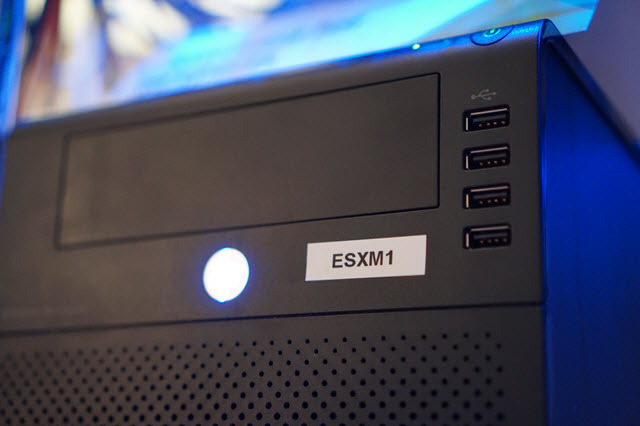 does your ESX1 and ESX2 support EVC mode? – SuperMicro X9SCM-F-O (Socket 1155) (the same mb using in server Supermicro SYS-5017C-TF). I tried BIOS version 2a and 2b. Could you advice how to switch on EVC mode? Not trying to be dense but what is “LOM”? Just stumbled across your site recently and am loving it. Keep up the good work. Cheers! LOM = LAN on motherboard. 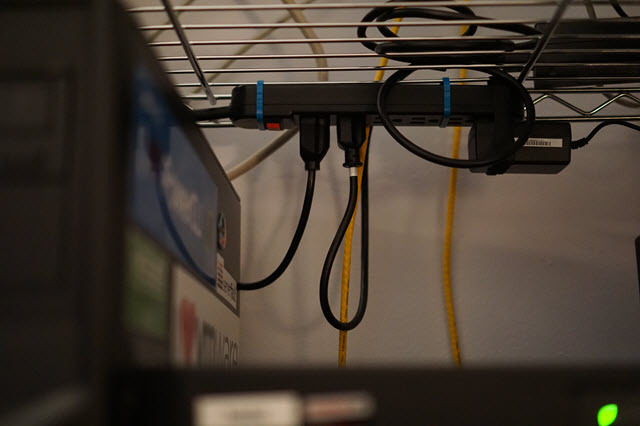 It basically denotes a network connection that did not require a PCI slot. I am in the process of building my lab. I have 2 Dell T110 hosts which will hopefully run off a NAS device. 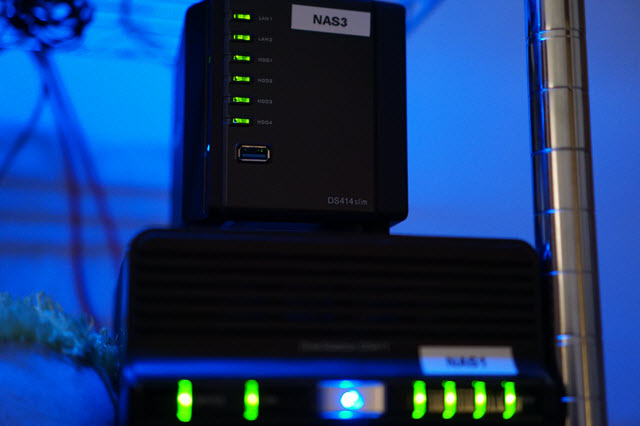 I will only be using the NAS device for hosting the VMs for the lab. I can’t decide between using a Synology 2-drive / 4-drive and a HP G7 N54L (http://www.newegg.com/Product/Product.aspx?Item=N82E16859107921). 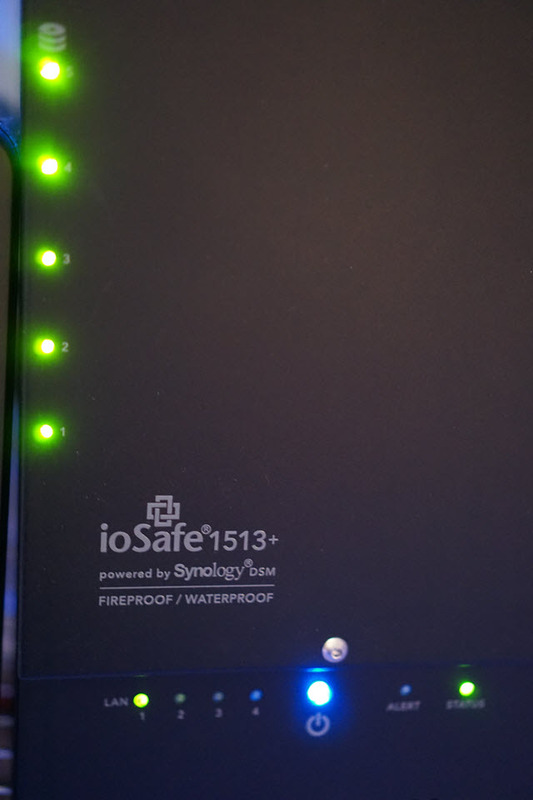 The reason I went with a Synology DS411 was to avoid the hassle of dealing with a NAS, along with suggestions from a number of folks in the community who use Synology and vouch for the product. There’s definitely a cost associated with having a supported product that you don’t have to worry about. Alternatively, you could use the N54L and use Nexenta, as many others have done, with an SSD ZIL and a good quantity of RAM for cache. If you plan to use spinning disk, I wouldn’t go less than 4 drives. OK That makes sense. For all the test VMs that you are running in your lab, how much HDD space do you have just for them (not taking VM backups or any other use? Reason I am asking is if I can get away with using a 2-bay Synology for now, that would be great. I can always use the 2-bay somewhere else or give it to the kids when I upgrade to a larger Synology device. I use up about 600 GB. My concern with 2x HDDs is that they will provide a very small amount of IOPS, especially if in a RAID-1 set, and handle random workloads like VMs very poorly. Thanks for the comment. I ended up with buying DS412+ and am currently using 4x 1TB WD spinners (spare ones). Thank you for this AWESOME site! I will be ordering the parts to build me two Supermicro Hosts. I would like to start/complete my VCP before the end of this year. Do you think that is a realistic goal? I am currently studying for my CCNA, which I should have completed by July. Thanks again for all the information you provide on your site. This site is one of the reasons I became so interested in VMWare ESXi. Dave – Glad to hear it and thanks for taking the time to comment. As for VCP and CCNA in a year, that seems very realistic, especially with a proper home lab to study with. Both exams have a large ecosystem of study guides and books available, along with some solid exam blue prints you can use to guide your studies. I’m going to use your enviroment for my own lab/DR site. 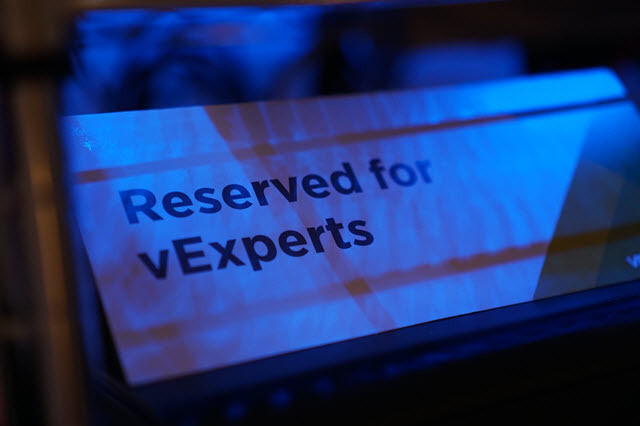 One question is surrounding the new 5.1 VSphere requirements for the sql/SSO memory needs. If I understand the ‘best-practice’ then the requirements for 10Gig of ram be dedicated for the ”management” server so that you can use SSO to manage 2 different enviroments (in my case my lab, and test DR site). I’ve heard some people having to only use 8Gb for this – but the need is still there. If I use the config’s above, and ‘pull’ 8-10Gigs from my lab/DR site – then I loose some flexibility. What I was hoping to do is have a separate machine – with say, 16Gb running windows 7/8 and install vmware workstation onto it and load the management enviroment there. By doing this process, then I’ve moved the ‘requirement/need’ from the lap/DR site to a outside box and this also allow’s me some flexibility to tear down everything and start over quickly. If I understand your process, you are using the HP40L as the management server and I presume there haven’t been any issues other than the possible memory issues discussed. With the new ‘requirements’ out there – have you had any issues using the HP40L or do you think that I could utilize the HP40L in this method? Any other suggestions on how to handle this new vsphere requirement – or other ‘micro’ boxes which could be utilized in this manner? I have not had any issues running vCenter 5.1 and SQL on my N40L with 4 GB of RAM for each. Love the new fun photos section. Very nice. Are you using a direct 10Gbps link between the two ESX with Emulex CNA 10102 ? Thanks. And yes – direct from ESX1 to ESX2 until I acquire a 10 GbE switch. Do you have local storage on your esxi hosts? Is that why your using the Emulex CNA 10102 to transfer VMs directly between the hosts? No local storage, just doing isolated VM traffic tests and host-to-host vMotion tests for now. I’m only using two of the uplinks at this moment to service NFS, VM, and Management traffic. The other three uplinks are not connected – two is plenty for my needs today, but a friend of mine had a 4 port NIC that he donated so I put it to use 🙂 Perhaps if I get a 2nd host for that management cluster I’ll consume the additional ports. Festive hat is key. Well done. My Lab is still overkill for me and I’m thinking to sell it and buy just one PC which replace my servers described above. Family routine takes too much time and is very hard to concentrate on my virtual labs. It is an awesome lab. I started building my own one and preparing myself for the newest VCA-DCV using ESXi 5.0, and the Train Signal’s series. I am missing some of the modules though, like vCSA and others, and asked the VMWare support to provide me with the trials but they refused, stating I could try only v. 5.1. I upgraded to it but one of my machines didn’t want to start at all. I tried to search over the Internet for additional 5.0 resources which I missed, without success. Could you help, please? Thank you very much for the information Chris. I’ll try them and let you know. How is the Dell on Power Consumption? I guess no where near as good as the white boxs? I’m reading power draw at the UPS, so I don’t have per-device data. But yeah, considering that it’s years older than the other servers I’d assume a little worse. Just shoot for an “80 Plus” power supply (I prefer 80 Plus Gold). A quick question about the HP v1910-24g switch. I bought one a while back and thought that 24 ports would be plenty for me. However, i now need 3 more ports. I have options of using an unmanaged 8-port switch or maybe using the 4 SFP ports on the HP. Is that possible? My HP came with the 4 10/100/1000 Gb SFP module. Can I use those ports as I would any other gigabit port on the switch? You can also stack additional V1910 switches if you configuring stacking links. So just to be clear, I can use the 4 SFP ports to stack additional switches OR treat all 28 ports (24 + 4) as plain old gigabit ports at the SAME time? You can use any combination of the RJ45 / SFP ports (or all of them). 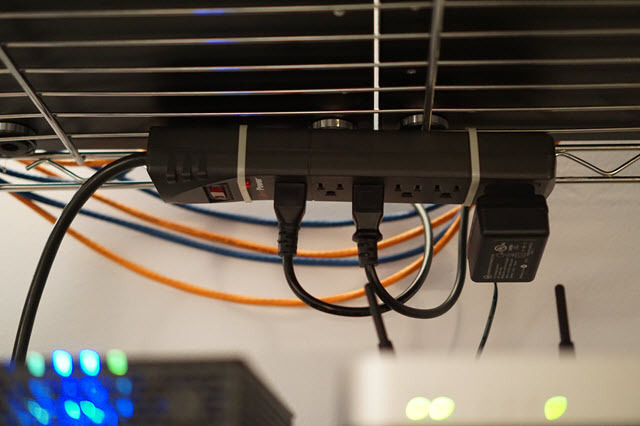 You can also use any port as a stacking port. Could you expand on the exact make and model of the Intel 82571EB quad port NIC you’ve got in your Microserver. I have 4 of those little monsters for my own vmware test rig at home and would happily get more NICs into them. Any help much appreciated! Great site by the way with lots of interesting stuff! Keep up the good work dude! Anyone having experience HP1910 Switch. My question is could we make two vlans e.g vlan 1 & Vlan 2 in single port of HP 1910 switch & assign high priority to one vlan?. I am finally jumping into the virtualization after following your posted articles. I went with a different approach because at the moment I can only afford a good workstation where I can also practice with VM. Following your advice on a previous post of mine, that HyperV is more forgiving when it comes to hardware, I am starting with this. This is also what they want to implement in my workplace, so I wanted to get my hands on Microsoft first. I find the same steps on a supermicro web site, so a give it a try. I had been waiting for the message to tell me to restart my system for 10 hours now and I don’t know if I am screwed or not. I am sorry to have posted this message here, but so far I don’t know where else to post it and I have confidence that you may have been through this before. Can you give some advice on what to do next?…I am afraid to restart the PC at this moment. Hmm. I’ve yet to encounter a bad BIOS flash on the Supermicro boards and have not personally worked with an X10SAT. Typically a BIOS update is touchy about reboots and such, although I suppose your only option is to reboot and see if the board is bricked or not. Perhaps RMA it if it is? 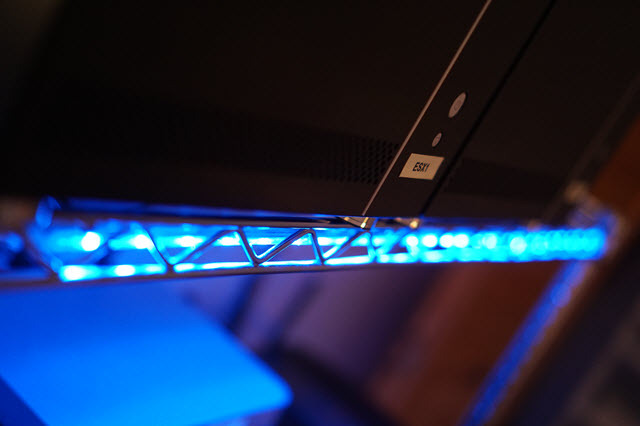 I try to be very careful about power when it comes to BIOS updates – make sure you have a good power stream being fed in from a UPS if possible, as they clean up any power spikes/dips and ensure that you won’t lose power during the update. Need some advice on the home lab front. I have one with around 5 ESXi hosts running around 30 or so VMs that include “production” and lab VMs. 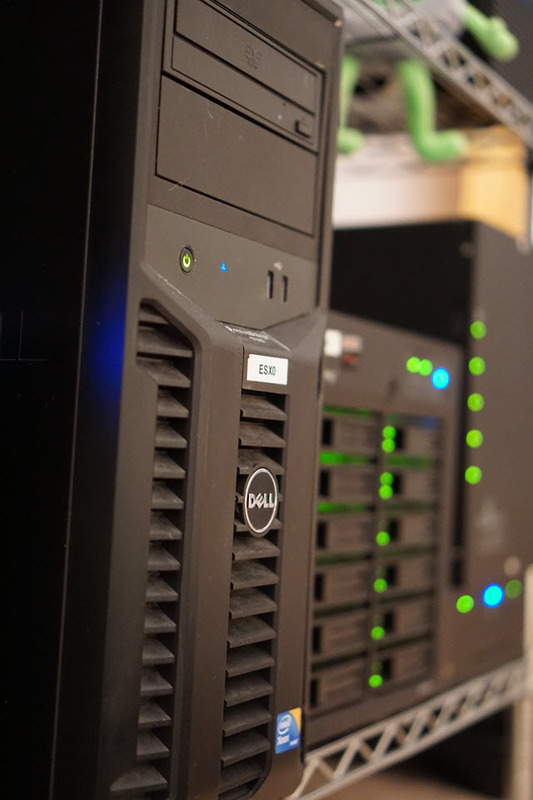 Production VMs include stuff like DC, Backup Server, workstation clients, HTPC. In other words, “mess with them and your wife will beat you up”. I was playing with GPO and Windows 2012 server and I broke stuff – production stuff. I fixed everything now but I was wondering if you had any suggestions on domain setup. For example, I am trying to figure out if I want to have 2 forest model — prod.mydom.lnternal and lab.mydom.internal with trusts between the two — or a 1 forest, 3 domain model — mydom.internal with 2 child domains – prod and lab or a 1 forest, 2 domain – mydon.internal (hosting all production stuff) and a child domain (hosting all lab stuff). Lack of direction in this very basic design is slowing me down. I was hoping that you can either do a post on this topic or if you / your users can give me some tips. I default to the two forest model with a 2-way transitive forest trust. Impressive setup. I really enjoy reading your site. I have two questions regarding the UPS. Do you have all the equipment connected to the UPS? I need to buy one but I’m not sure if I will buy one powerful UPS or a small UPS for each server(3). How do you turn off your servers in case there is an outage? Thank you in advance and keep up the good work!!! Yes, it’s all attached to the UPS. 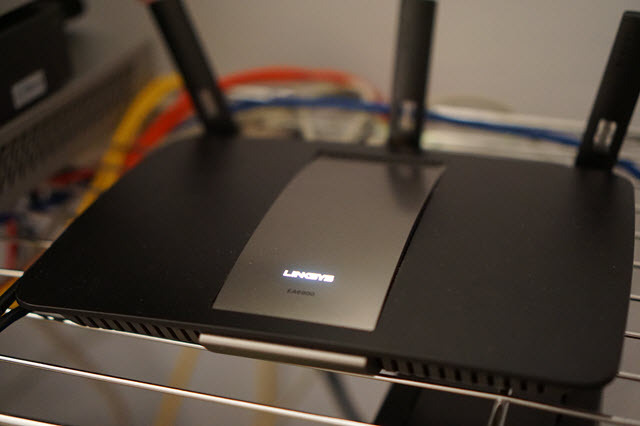 It’s a bit old; if I could do things again, I would get one with a network attachment. If there is an outage, nothing special happens; the UPS eventually runs out of juice and the servers power off. 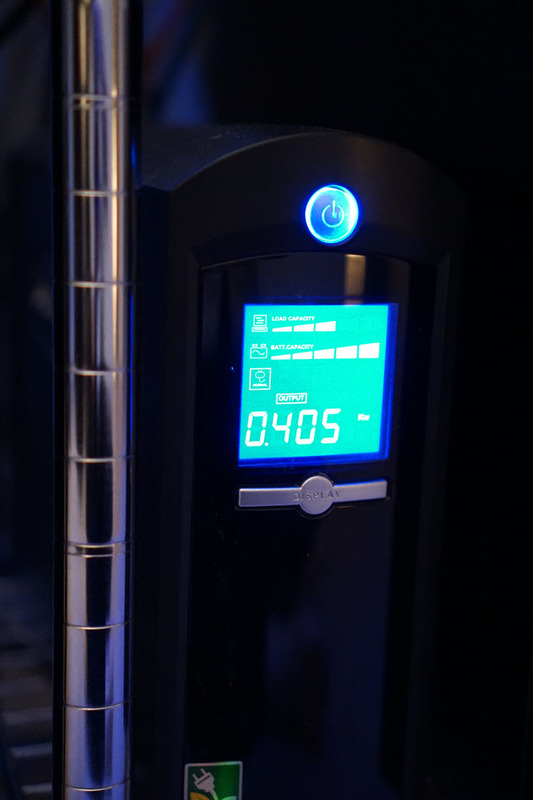 It’s a good unit for smoothing out the power and avoiding power hiccups, but not meant to provide anything beyond that. 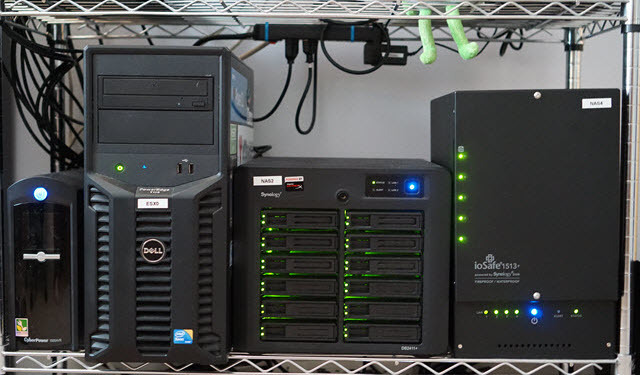 Great write up on your home lab, I am very impressed and also enjoy reading all of the content on your site. I am in the process of building/upgrading my home lab and would love to share it once complete and ask if you would add it to your site. I am also interested in a Meraki device as I see you have in your lab. I have been looking at the MX64W but understand a license is required for these. Is your device licensed and is this device worth it? Yes, a license is required or else the unit stops functioning. Hi Chris, I noticed on your setup that you have a dual port 10GB nics on each server. Do you connect this nics directly ? the switch you have are 1GB so i assume you use this 10GB nics for vmotion directly connected between hosts. well, you already answer that on the above topics. No problem; I’ve updated the article to make it more transparent. Thanks for the comment. Hi Chris, again excellent write up! Had a quick question for you regarding storage for my lab using Synology devices and you seem pretty knowledgeable. I have a DS415+ and would like to grab a DX213 expansion unit as it is compatible with the DS415+ as an external storage only. I plan to use SSD’s in the DS415+ for the running VMs, and would like to also utilize the Synology SSD cache. The DX213 would run the NAS HDD’s for backups and all data. So would this setup work? I also welcome any feedback for a better/more efficient setup using said devices if my intended layout is not as efficient as it could be. Thanks much and look forward to your reply! Firstly, many thanks for your post. I’ve recently decided to have a go at building my own HomeLab and this has been very helpful in helping me decide what i should do and how to go about it. Currently I only have a few servers which I have acquired over time.. I have a question on the power side. What decisions were you making / process did you go through to decide what the power consumption should be? Also how did you setup that interface which shows you the power comsumption? (Apologies, i am new to this, hence my questions). Do you have any topology diagram for your lab with all the details. I am a beginner in virtualization and trying to setup a home lab. Thanks for your information. It is useful. I would like to built my homelab using Synology DS916+ for VMware study, network emulation and personal storage. Idea is 2 x 3TB hardisks running raid 1 and 2 x 128/256 SSD harddisk running raid 1 for read/write cache. A question is it possible to divide 3TB harddisk space into 1TB space for VMware datastore and 2TB for personal storage (media file, photo….etc) and both using the SSD harddisk for read/write cache working into independent environment ? Vsphere host idea is 3 x ASRock desktopmini 110 with i7 6700T CPU (4C8T,TDP35W), 32GB RAM, 128/256 SSD and using cisco SG300-10 for interconnection the hosts PC and the storage. In short, no this would not be possible if you intend to use both SSD’s as read-write cache. Yes, you can split the 3TB HDD into a 1TB datastore and a 2TB for personal storage but this would require that you split and create 2 volumes on the RAID 1 or SHR (Synology Hybrid RAID) array but SSD read-write cache can only be mounted to a single volume. Now with that said, if you only intend on setting up and using read cache only, then you can set this up and mount 1 SSD to each volume. Hope this helps! Virtualex, Thanks for your explaination. One more queston, If I buy 4 x 3TB harddisks running RAID 10 setup, Split the harddisks 1TB into datastore and 5TB as personal storage. Is it OK ? feel free to divide & conquer at your own discretion! Keep in mind that if you do a SHR RAID Type instead of a RAID10, you will instead have 9TB usable with the other 3TB for protection. 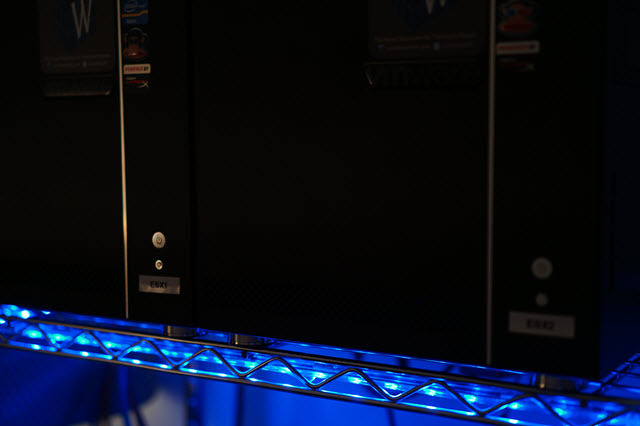 RAID10 will only get you 6TB usable & 6TB for protection…aka…mirror. I’m doing test lab for VCloud director. I’m following your train signal. I have created the MS SQL DB and while installing the VCloud director and connecting to the DB, its not connecting. I have verified my DB creation script which I copied from the VMware site, the username and password are same. And since the this is a test setup , all the machines are on the same vLAN, verified, I’m able to do telnet from VCD server to the DB server on the port 1433. Would you have any other suggestion for me to check. Sorry for the very long post. I am hoping you can point me to a right direction. 1x Dell PowerEdge R510 with 64GB RAM and 4 TB Storage. ISP is Telstra cable working with netgear wifi modem. 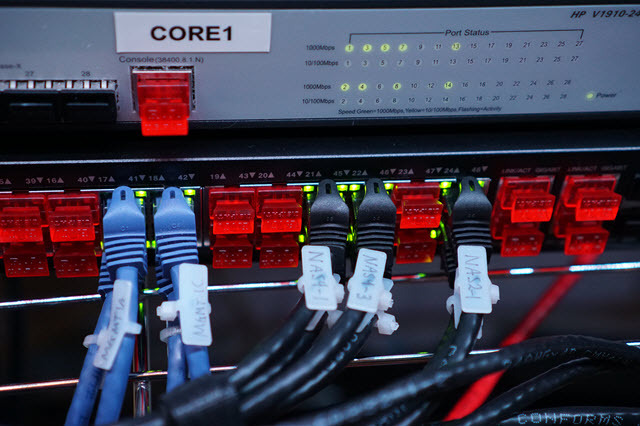 Configure DC (Group policies, DHCP, DNS) and connect all Client devices to that DC. 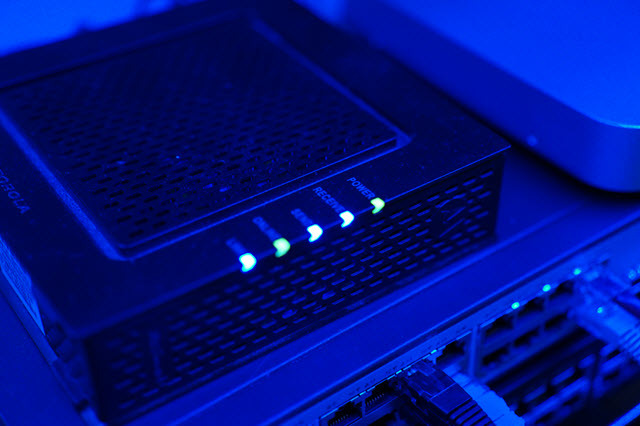 ISP connects to Sophos UTM and to Netgear switch. All traffic use Sophos as default Gateway. Use NAS for Veeam endpoint backups and Custom PC for Media streaming. Not sure about old Dell XPS yet but I will do something with it. Wired devices I am good. I am getting 35 MBPS speed, can communicate with other wired devices, Sophos web filter rules working. Wireless devices I hit the hurdle. As I never worked in Networking side before (I am trying to learn) I don’t know how to configure the Cisco Router to route between wired & wireless networks. So, all wireless devices using ISP modem as Default gateway(no web filter) and all wired devices using Sophos as Gateway. I tried to connect a Wireless AP to the Netgear switch and use that for wireless devices but the Speed I am getting is 2MBPS. Don’t know the reason. Where do you by the ethernet port covers?